Saturday September 28, 2013 marked the annual Helping Hands Monkey Helpers Food Festival fundraiser at the WGBH studios. Every year food and beverage sponsors come together to support Helping Hands and raise money for the non-profit organization. Established in 1979, Helpings Hands is a unique group that provides service monkeys to disabled adults with mobility impairments. The organization cares for and trains each capuchin monkey for about 4 years before donating them to one of their applicants. It costs on average $40,000 to train each monkey, and as they are provided to recipients free of charge, it’s imperative that Helpings Hands receives support from generous donations. Enter Columbus Hospitality Group! CHG is one of the many event supports, with the largest presence hosting five restaurant tables: Mistral, Sorellina, Teatro, Mooo…, and L’Andana. 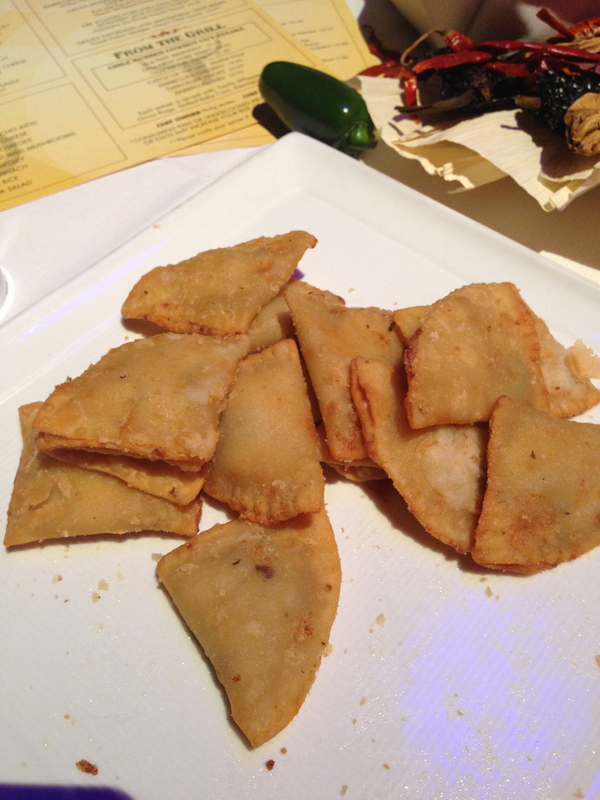 Other great Boston restaurants were represented, each serving up tastings of knock out appetizers. This was my second time attending the fundraiser, and both years my favorite station was Mistral’s. 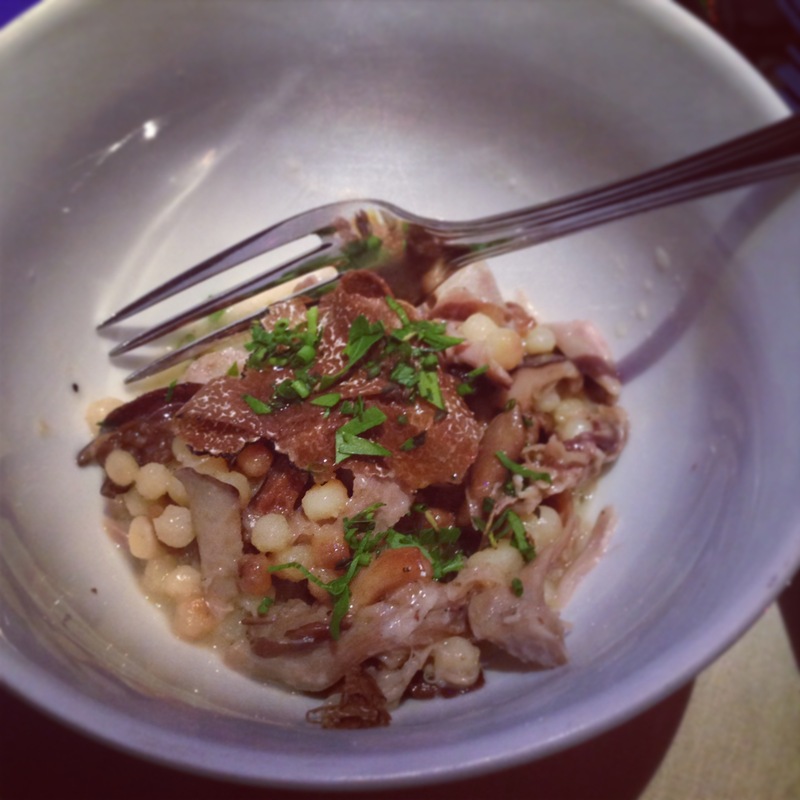 The French bistro served Duck Confit and Wild Mushroom Cous Cous “Risotto” with Parmesan and Black Truffle. I don’t even like mushrooms and I had two bowls of this stellar dish. 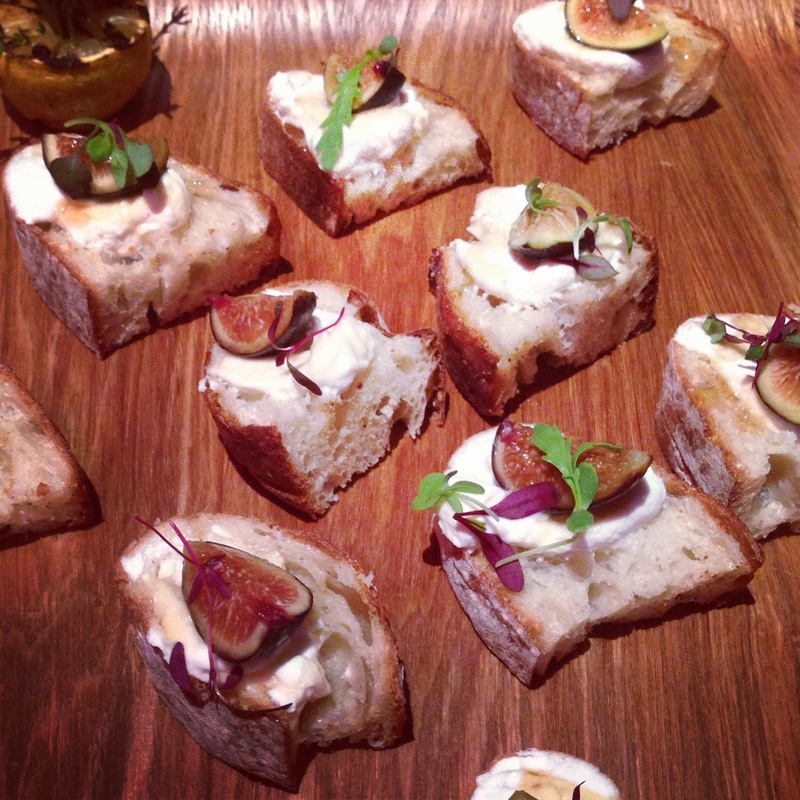 I think L’Andana was next on my list with their House Made Ricotta Bruschetta with fig and their own harvested honey. Fig + ricotta + honey may be one of my favorite food combinations. Sweet, light, and irresistible. 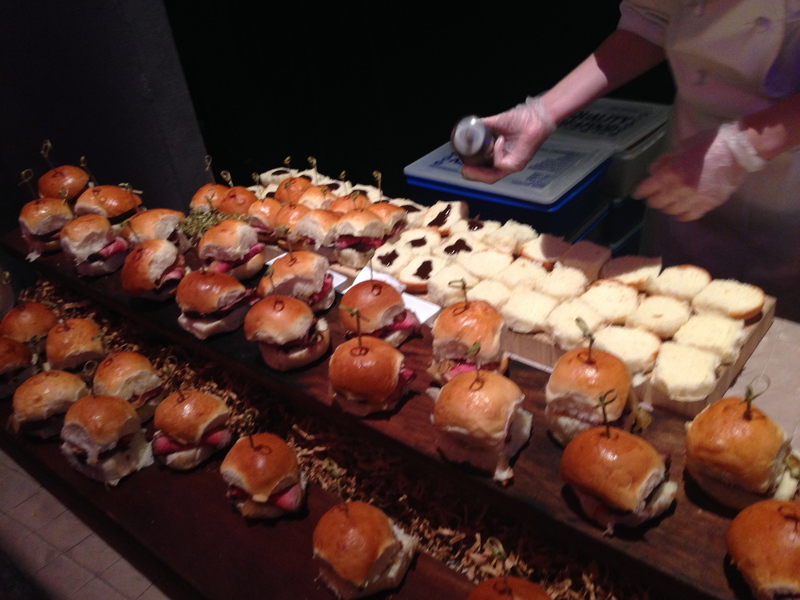 Mooo… offered tiny but hearty Beef Sirloin Sliders with Mooo Sauce and Caramelized Onions on House Made Rolls. Being pregnant, I wasn’t able to taste Sorellina’s Tuna Tartare with spicy mustarda aioli and chili vinegar, although I’ve had it in the past at their restaurant and it can’t be missed! 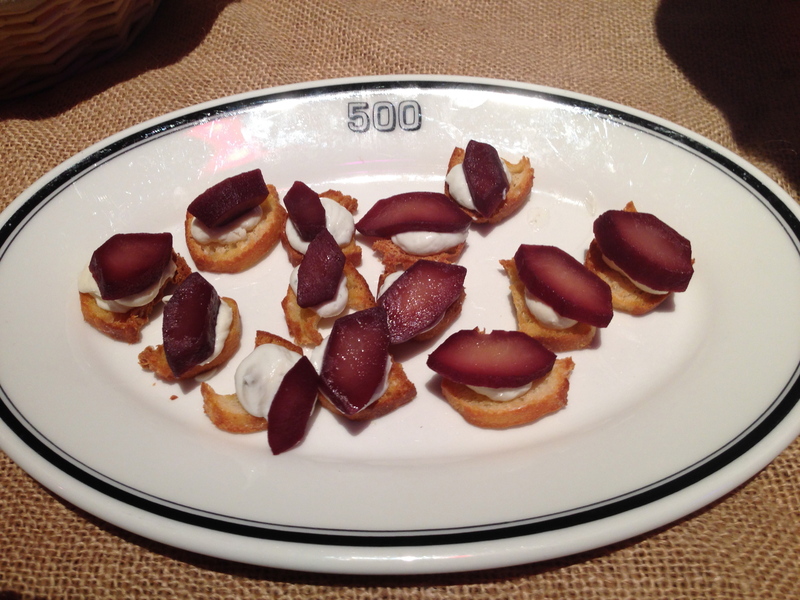 Cinquecento‘s Red Wine Poached Pears with Whipped Gorgonzola & Olive Oil Crostini. If I were able to have “moldy cheeses” I would have probably consumed this enter plate. 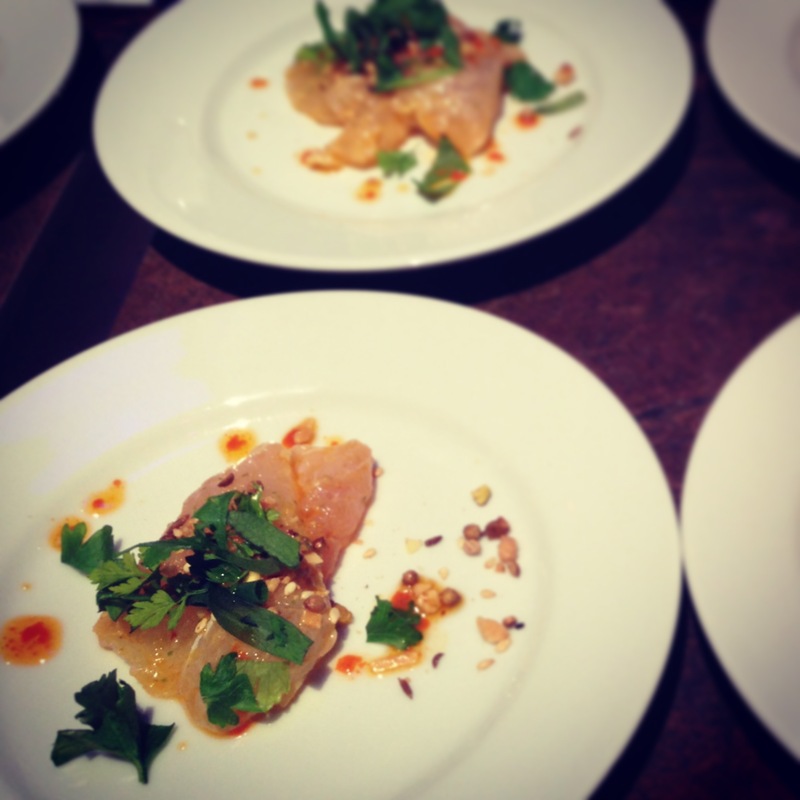 Jody Adams’s Trade and Rialto were represented at one table, offering Ceviche with dukkah, harrisa, and lime. Another raw fish option I had to avoid. Back to the things I could eat, and ate a lot of! 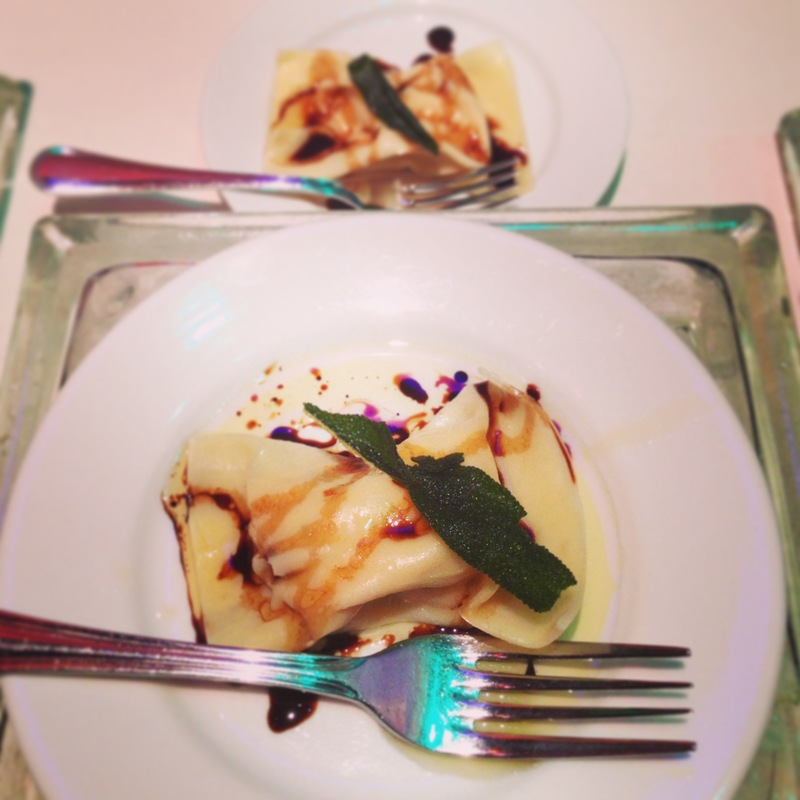 The Catered Affair had incredible Butternut Squash Agnolotti drizzled with Sage Brown Butter and topped with Fried Sage. I had to walk away from the table after my second helping, because I could have stayed there all night. Zocalo may have had the best table, simply because they were serving three options, each one out doing the last. 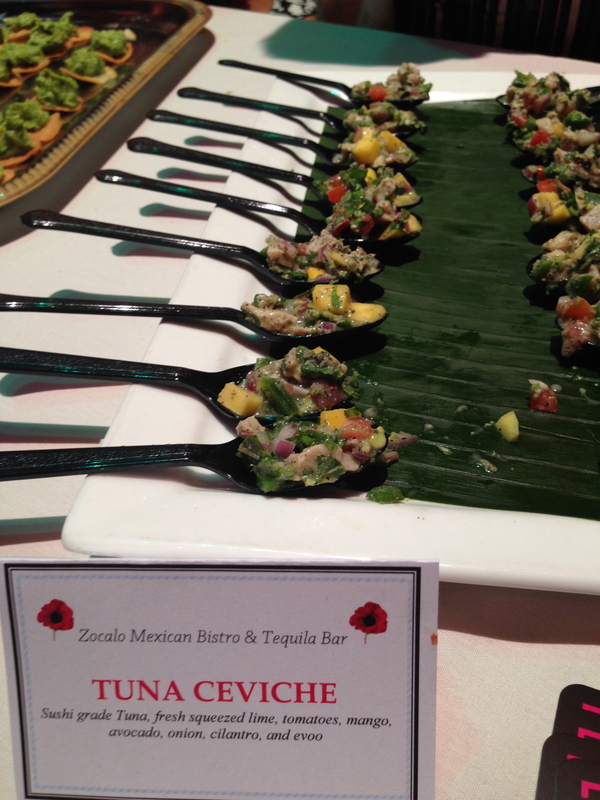 My husband probably had five spoonfuls of the Tuna Ceviche with lime, tomatoes, mangos, avocado, onion, cilantro and EVOO. Thank goodness avocados are not on the pregnancy “do not eat” list or else I’d be in major trouble. 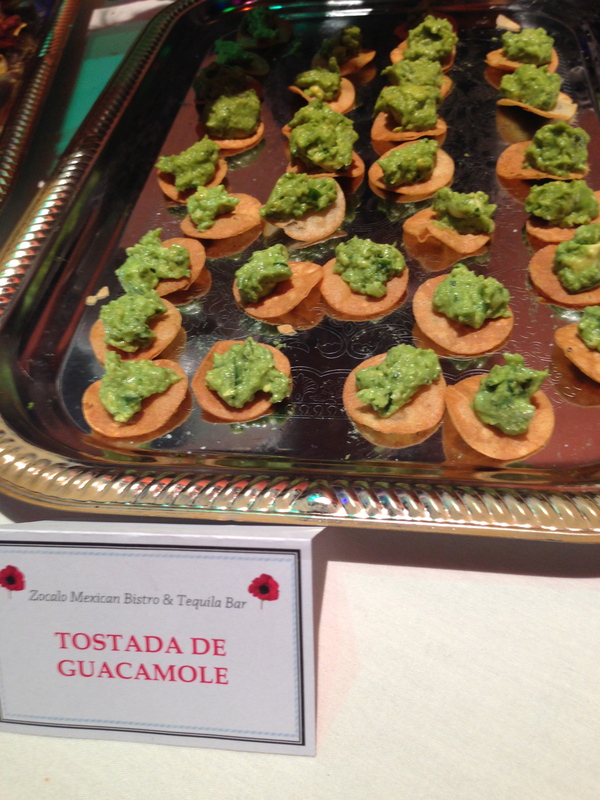 I was able to try (quite a few of) Zocalo’s Guacamole Tostadas. 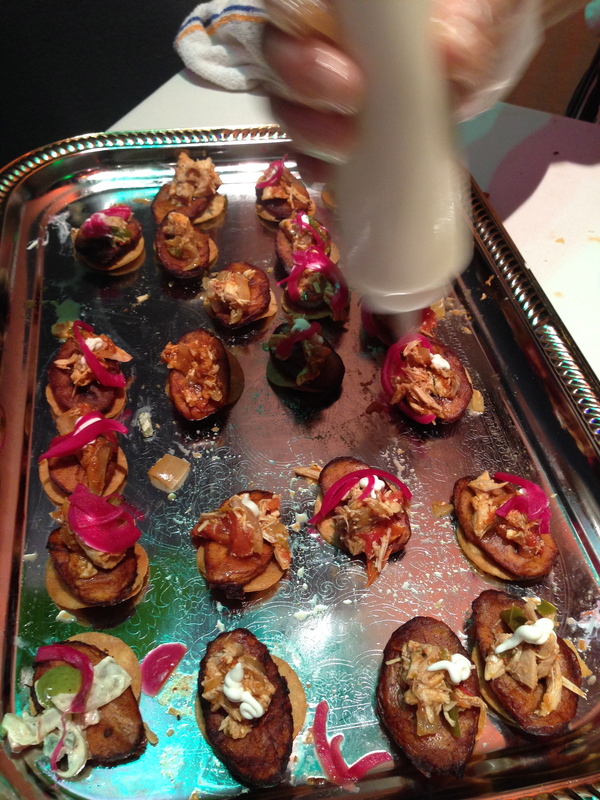 And last but not least were the Chilapitas, which are sweet plantains stuffed with pulled pork, crema fresca, avocado and pickled onions, topped with ranchera sauce and cotija cheese. YUM! Out of all of the restaurants mentioned, this is the one I haven’t been to, and after their showing at Helping Hands I think I’ll be making a reservation very soon. 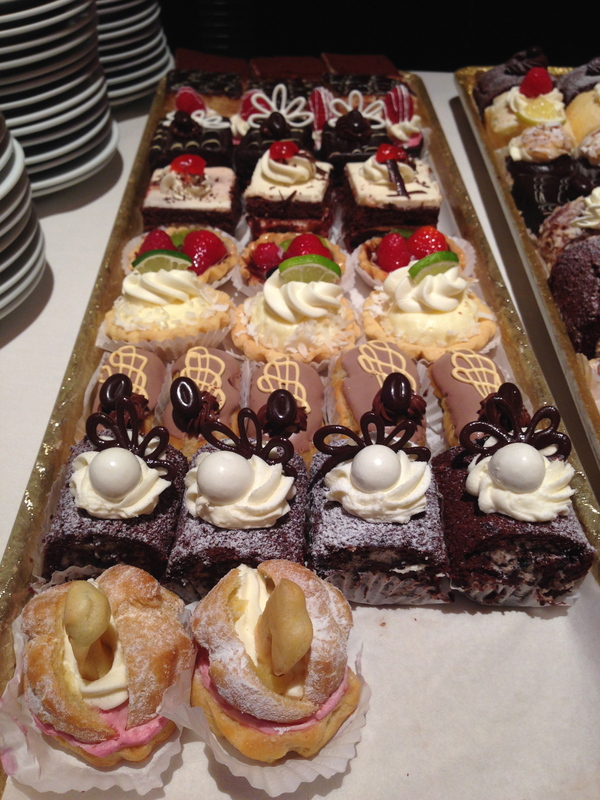 After consuming all of the savory apps, my sweet tooth was calling. Thankfully Konditor Meister represented for desserts with unforgettable cream puffs, mini pies, tarts, and more. I couldn’t enjoy the open bar this year, but Ketel One was serving cocktails at their vodka bar, and beer and wine were flowing from Harpoon Brewery, M.S. Walker, and William Grant & Sons. 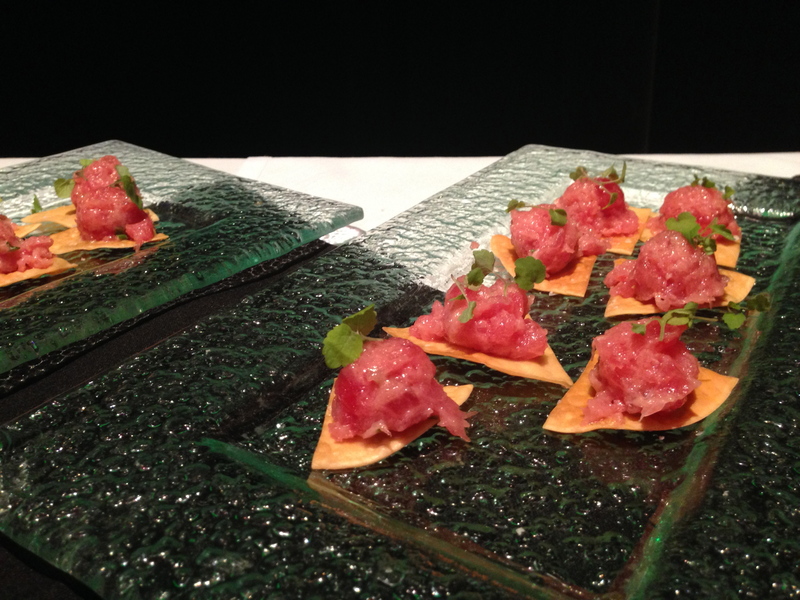 This entry was posted in Uncategorized and tagged ..., al, black truffle, capuchin monkey, caramelized onions, columbus hospitality group, L'Andana, mistral, mooo, raw tuna, Rialto, Sorellina, Teatro, trade, tuna tartare, Zocalo by Dena Raffa. Bookmark the permalink.